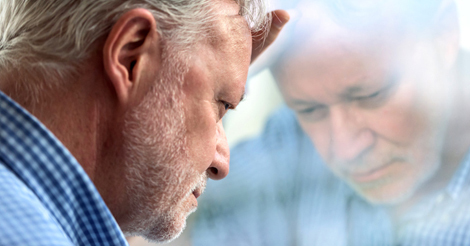 Symptoms of depression have been linked to heart disease and stroke in middle-aged and older adults. There's also a known link between depression and deaths from cancer and falls in older adults. These connections might contribute to an increased risk of death for older adults, researchers suggest in a study published in the Journal of the American Geriatrics Society. Since depression symptoms change over time, it's possible that studying those symptoms during an older adult's doctor visits could provide more information. To learn more, a research team designed a study to investigate the role depression symptoms play in an increased risk of death over time. The team also examined the role heart disease and stroke play in the link between depression symptoms and increased risk of death. At the start of the study, 16% of 9,294 participants had a history of heart disease. Most participants were around 73 years old; 37% were men. About 23% of participants had symptoms of depression when the study began (28% of women and 13% of men). Almost 7% were taking medication for their depression. At three follow-up visits, the participants were tested again for symptoms of depression.